An early photographic album which has sold for a record-breaking £290,000 came into the hands of its first owner 140 years ago as a prize – for winning a pigeon-shooting competition. 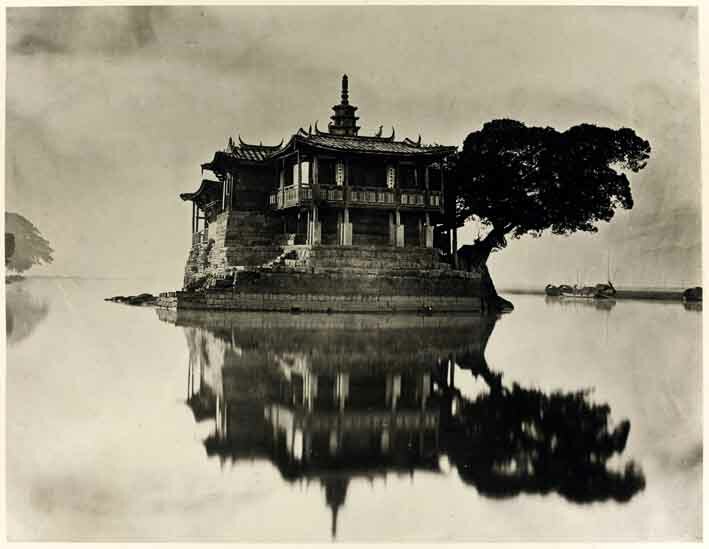 The copy of John Thomson's Foochow and the River Min of 1873 trebled its estimate at Sotheby's at the end of last year. After coming into the possession of Oliver Latham (1841-84), thanks to his sharp-shooting skills, it passed down through direct family descent. Edinburgh-born Thomson had joined his elder brother in 1862 to run a successful chronometer and nautical instrument business in Singapore but, having a keen interest in photography, he also set up a portrait studio and spent many years travelling with his camera in Siam, Cambodia, Vietnam and China - often with his dog, Spot. Thomson travelled extensively in the Fuzhou (Foochow) region in 1870-71, in this instance accompanied by an American missionary, Rev Justus Doolittle. He travelled up the River Min from Fuzhou to Nanping, covering almost 160 miles and documenting the land, architecture and people of Fukien province. Foochow was established as a treaty port in the early 1840s, became a thriving centre of trade following the Taiping Rebellion and by the 1850s was the world's largest tea-exporting port. 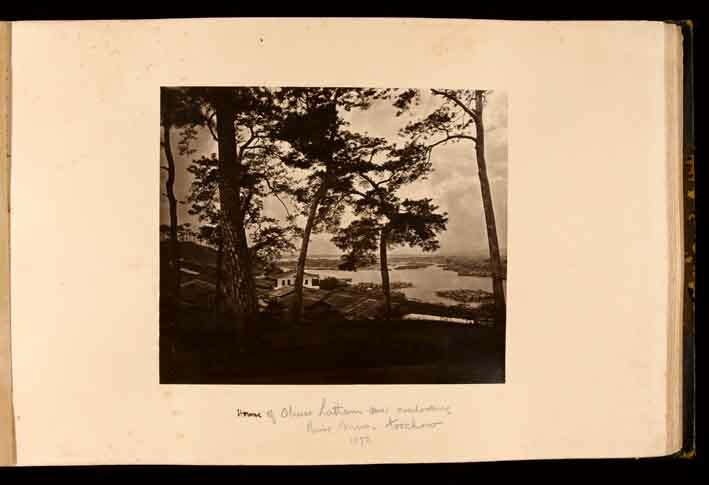 The photographs from this trip were published by subscription only, just 46 copies being printed in 1873 by the Autotype Fine Art Co of London, under Thomson's personal supervision. As the introductory text explains, the 40 large and 40 smaller carbon prints (mounted on 50 leaves) that make up the album were intended to appeal primarily to the "foreign residents" of Foochow - tea-planters, missionaries, merchants and officials. Latham was one of those engaged in the tea trade. The manner in which it first came into the family is perhaps the most appealing part of the story. The pigeon-shooting competition on April 22, 1873, was a social event organised by a friend and former colleague from Latham's days working for tea merchants Fussell. The 'Sheppard's Pigeon Match - Handicap Stakes' saw 11 competitors take part, each paying an entrance fee of £5. Competitors and their scores are all listed in a note on the title page, and by consulting The Chronicle & Directory for China, Japan & the Philippines for 1872, Richard Fattorini of Sotheby's was able to identify nearly all of them as Foochow clerks, tea inspectors, brokers, agents, merchants or, in one case, a pilot. He also speculates, perhaps a little mischievously, that Sheppard, who scored nine out of ten hits, may have fancied himself the best marksman and hoped to secure the big prize. It was not to be: Latham produced a perfect 10. Born in Cork, Latham was the youngest of 14 children of parents who had at one time owned two Irish estates, but who by the 1850s had been forced by hard economic times to sell them off. With little left to inherit, four sons left Ireland to find their own fortunes. Oliver, in 1859, voyaged to Shanghai on a ship commanded and part-owned by his brother-in-law, Martin Brooks. With Brooks' help, Latham obtained a position with Fussell and in 1867, following his employer's sudden death, became a tea broker. By 1881 he and his wife Janie had moved to London, where he is recorded as an "East Indian China Merchant". A few years after Oliver's early death, Janie married an Australian, Captain Alexander Henry Rourke, and they settled in Brisbane in 1894. The Thomson album, in its original dark-green half morocco gilt binding, lived for some 40 years under a piano in the home of Margaret Ann Latham, Oliver's grand-daughter - who, the family tell me, had become chief custodian of family history and heirlooms. In 2012, Margaret Ann gave the album and other heirlooms to her descendants in a living will, and though few in the family had ever seen it before, they recognised its historical interest and began to research it. They first took it to Bay East Auctions of Sydney, but the Australian auctioneers advised that if it was to be sold, then it might be handled to greater financial effect by their UK associates, Sotheby's - and how right they were. The price on November 15 was highest ever seen at auction for a copy of the album by some distance. And what of the other recorded surviving copies? Well, as long ago as 1984, his personal copy, which contained an additional 30 carbon prints of Formosa, was sold at Sotheby's Belgravia and is now in the Tokyo Fuji Art Museum. Another copy, sold at Sotheby's in 1991 for £9000, was the subject of an export block when it was realised that no copy was held in any English institution, and was subsequently acquired for the National Museum of Photography, Film & Television in Bradford. In 2005, a copy seen at Bonhams made £85,000 and the following year another example, the photographs all framed up but accompanied by the binding, plate list, introduction, etc, made $150,000 (then £84,270) at Sotheby's New York. Two other copies, one bound and one unbound, are at the Peabody Essex Museum in Salem, Massachusetts.